Will Ferrell and Jack Black star as old classmates who have been playing out a game of tag for decades in this New Line Cinema comedy based on real life events. 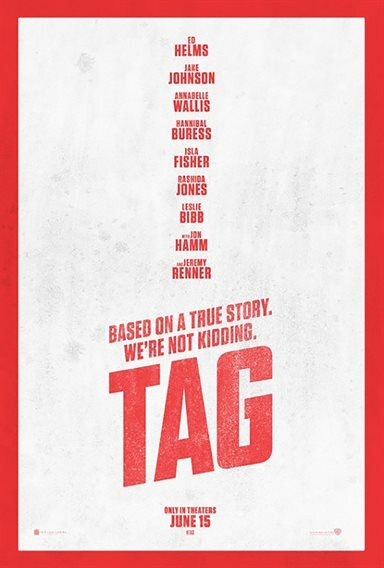 Download Tag in Digital HD from the iTunes store. 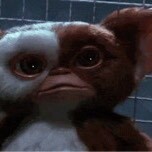 Tag images are © New Line Cinema. All Rights Reserved. There is a group of men who have taken these words to heart and for thirty years have spent one month a year playing a game they started when they were kids. They play TAG. How many of us want to return to childhood when we enjoyed playing games and having our friends around us?! These friends drop everything to do just this, every year. These former childhood friends have stayed in touch all this time to get together every May and for one month it becomes an epic, all-out game of tag. At the end of the month whoever is "it" remains "it" for the rest of the year - a distinction none of them want. It's that time of year once again and a new twist has entered, Jerry (Jeremy Renner; Avengers) is getting married and he wants to quit the game for good. This is his last year playing and in 30 years he's never been tagged "IT"! This motivates the group to go all out to get Jerry. Complicating this year's game is Rebecca (Annabelle Wallis; The Mummy) who is interviewing Callahan (Jon Hamm: Mad Men), a successful businessman, for the Wall Street Journal. After finding out about this game she suddenly gets a new take on her story and goes along for the journey. Hoagie (Ed Helms; The Hangover series), a dentist, drops everything to go on this adventure and the rest follow suit. Hoagie's wife, Anna (Isla Fisher; Now You See Me) goes along for the ride as a cheerleader/coach because no women are allowed in this game. She is having the time of her life and it shows. The entire group of men, at different points in their lives and careers, go all out to make this the best year ever. We, the audience, get taken along for the ride and what a ride it is! The hi-jinks keep you laughing and guessing what comes next. The story seems so unbelievable except it is based on a real group of friends and the jokes and "slapstick" had me laughing out loud. Tag will make you nostalgic for your lost youth and will have you calling up your childhood friends (or at least searching them out on Facebook) to relive "the good old days". Certainly not the best comedy I have seen in the last 5 years but it is a warmhearted tale that has its moments. Oh and stay through the credits to see the real people do what they do best. You'll be entertained…I was.